From the Editor. This month I begin offering brief reviews of classic Christian literature, covering the large territory from Augustine to Packer, titled ServantClassics. Classics are those books that have endured over many decades or centuries because of outstanding quality of the thought articulated by the author; they are also relevant beyond the time in which they were written. And they are often well known but not well read. In this feature David Noe will also offer brief translations of ancient authors never before translated into English. Your ideas are always welcome. I begin with a Puritan classic by the heavenly Doctor Sibbes, The Bruised Reed (1630). In the early days of my Christian life this Puritan classic was a major influence on my spiritual life, especially in the area of assurance of salvation. Andy Wilson reminds us of an oft forgotten work of Luther on this five-hundredth anniversary of his Heidelberg Disputation. In it, Luther explains the essence of the gospel in a way that the Ninety-Five Theses only opened the door for by questioning practices like indulgences. Luther’s distinction between the theology of glory and the theology of the cross is profound. Wilson shows how relevant Luther’s work is for ecumenical discussion, the doctrine of the church, and the spirituality of the Christian. In “Roman Catholicism, Marriage, and the Sexual Revolution,” Darryl Hart reviews Ross Douthat’s To Change the Church: Pope Francis and the Future of Catholicism, appreciating Douthat’s accurate critique of the church’s recent failings, while wondering why Douthat continues to tolerate the Roman Church’s laxness, which is how it has remained a big tent throughout its history. Linda Foh reviews a history of our own, Choosing the Good Portion: Women of the Orthodox Presbyterian Church, edited by Patricia E. Clawson and Diane L. Olinger. As part of that history Foh brings a firsthand appreciation, from her family’s early history in the OPC, to her review of this excellent new book celebrating Christ’s blessing of the church through its many faithful women. Ryan McGraw reviews Billings’s Remembrance, Communion, and Hope, challenging the church to a deeper appreciation and practice of the Lord’s Supper. Mastricht’s work represents the full achievement of the Reformed orthodox theological program of developing an exegetical, doctrinal, elenctic or polemical, and practical approach to Christian doctrine. Whereas other theologies of the era, like Brakel’s Christian’s Reasonable Service or Turretin’s Institutes, embody one or two of these emphases, Mastricht provides the full spectrum of Reformed orthodox thought and does so on a highly detailed and carefully defined level. The translation is a significant achievement. Don’t miss this month’s poem by Edward Taylor, a meditation on 1 John 2:1. See my introduction to the May 2018 issue for a brief comment on this significant colonial poet. “Paul on Justification and Final Judgment.” (John V. Fesko) 16 (2007): 66–72. “Shorter Catechism 33, Etc.” (Gregory Edward Reynolds) 16 (2007): 34–36. “The Revised Historiography of Reformed Orthodoxy: A Few Practical Implications” (Carl Trueman) 21 (2012): 69–74. 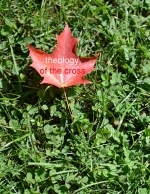 “The Puritan Theological Method.” (John V. Fesko) 17 (2008): 17 (2008): 93–98.